I sure hope this works out. Texas abortion providers on Wednesday asked the U.S. Supreme Court to take up their legal challenge to two provisions of the state’s strict abortion law. After losing at the appellate level, a coalition of abortion providers is asking the high court for a reprieve from restrictions passed by the Texas Legislature in 2013. Those rules will require some abortion facilities to retrofit their clinics to meet the same standards as ambulatory surgical centers, from minimum sizes for rooms and doorways to pipelines for anesthesia and other infrastructure. A separate provision, which has already gone into effect, requires doctors who perform the procedure to have admitting privileges at a hospital within 30 miles of an abortion clinic. 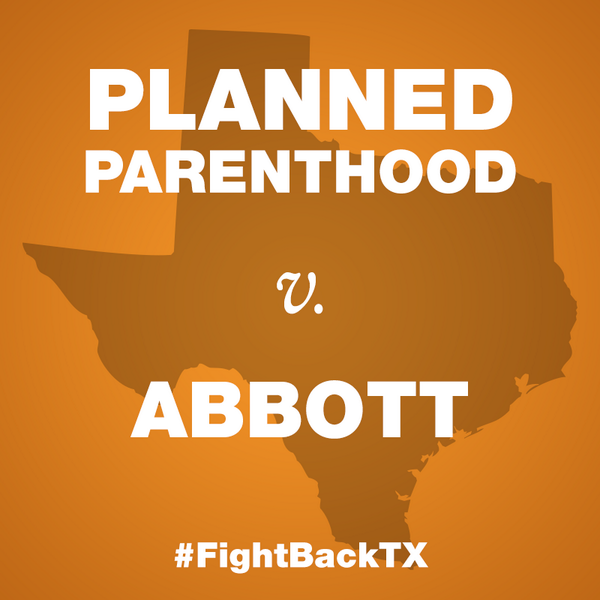 Originally, the abortion providers challenged the ambulatory surgical center provision while asking for an exemption from the admitting privileges for two clinics: Whole Woman’s Health in McAllen and Reproductive Services in El Paso. But the providers are now asking the Supreme Court to permanently block enforcement of both provisions. The providers’ request, which was expected, comes after the Supreme Court temporarily put that requirement on hold in June, delaying the closure of about half of the 19 abortion facilities open at the time in Texas. See here, here, and here for the background. There’s no middle ground or fallback position here. Win big or lose big, with national implications either way. I guess we should all be lighting candles in hope that the good Anthony Kennedy will show up on the day of oral arguments, assuming they take the case in the first place. It’s going to be a nerve-wracking few months till we get a resolution. The Observer, RH Reality Check, Daily Kos, and Trail Blazers have more. Texas is business friendly! (‘Ceptin’ if we doesn’t cotton to your kind of bidness.) Cheer up, abortion clinics, you are in good company…..you can hang out with Tesla and the horse track on the Group W bench.